For many, Lake Como is considered the lake to visit in Italy. Though not the biggest, it's proximity to Milan and fantastic ferry-transportation system make it a great stop on any Italian getaway. It's a popular place for R&R filled with fancy hotels, spas, and private boat tours departing from every town. That said, many of the reasons that make it a great spot to relax also make it a perfect place for the lover of the outdoors. There are fantastic runs, walks and hikes filled with beautiful views, diverse terrain, and rich history. 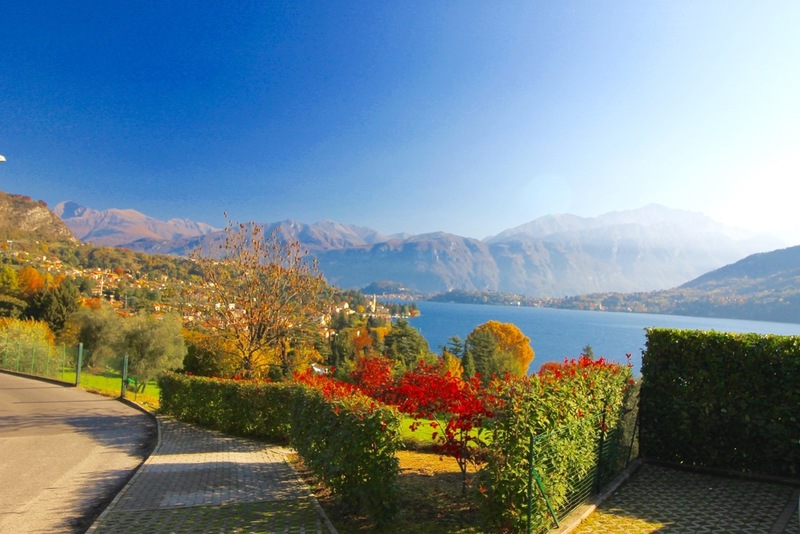 There are numerous cities to choose from for your Lake Como escape. A great option from Milan via train is the town of Varenna. From Varenna you can take the ferry directly to Menaggio, Cadenabbia, or Bellagio in about 15 minutes, which makes it an ideal home-base. Once settled, make sure to relax, drink delicious Italian wine, eat pasta, etc., but I also encourage you to get out and explore Lake Como on foot. Whether it's for a run, stroll, or something in between, I highly recommend exploring at least a portion of Lake Como's Greenway. It's officially a 10k path where you'll experience boardwalks, hills, streams, and many lakeside villages. The full route runs from Colonno to Cadenabbia and you can choose to start in either city. If you're looking for something longer, you also have the option to continue from Cadenabbia north towards Menaggio along the lake's edge. While on the Greenway, you'll take in beautiful views across the lake and start to feel as if you're actually getting to know the many small towns surrounding Como. To get to or from your chosen start and end locations, the C10 bus is your best bet. It runs all of the way from Como to Menaggio along the Lake's west side. NOTE: You must buy a bus ticket before boarding the C10 bus. You can typically purchase them from any of the stores surrounding your bus stop, but make sure to have a ticket in hand (~€2.5) before your bus arrives. 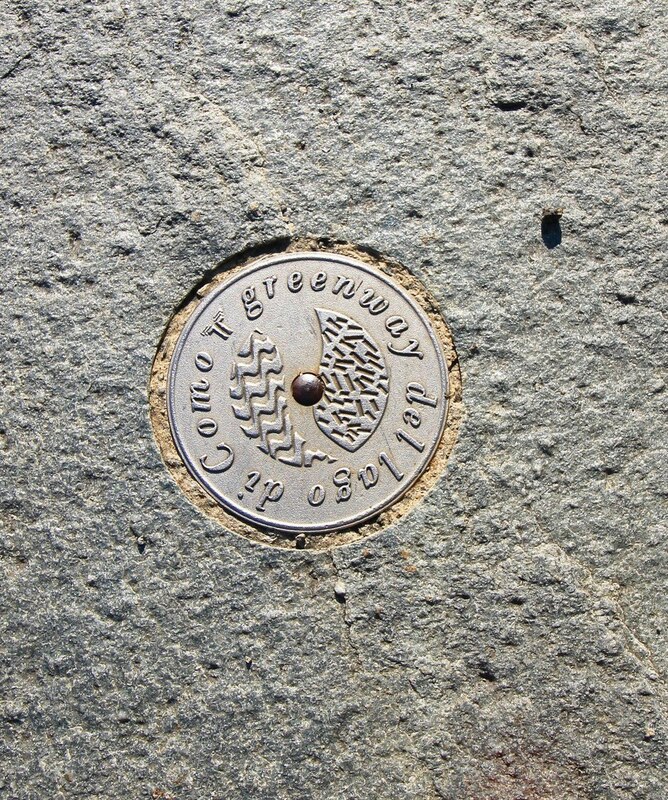 The Greenway is very well marked, so as long as you keep your eyes peeled for the blue route markers and make sure you somewhat frequently check to make sure you're still on the path with metal Greenway signs, there's no need to bring an additional map with you. And, in the event that you do get lost, all you need to do is head towards the shore and walk along it until you come across a C10 bus stop :). If you want to learn more about the route before taking off, I found this guide to be a nice preview. While on your Lake Como holiday, enjoy this hike filled with history and a few breathtaking vistas. 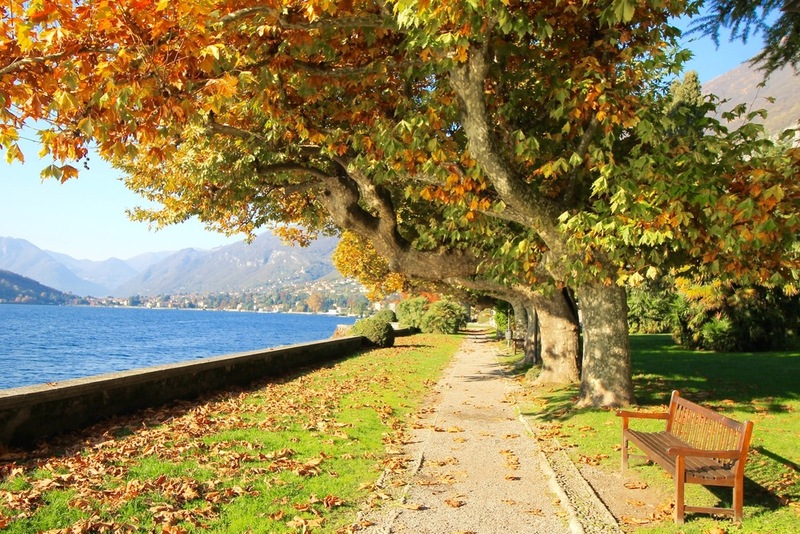 The official path runs from Lierna through Varenna, but you can choose to start from either town. This route is said to be a part of a Roman road that ran from the area of Milan up into what is now Switzerland. In the last few decades, sections of the path have been updated to create a 45km path, a portion of which is the Lierna to Varenna track. 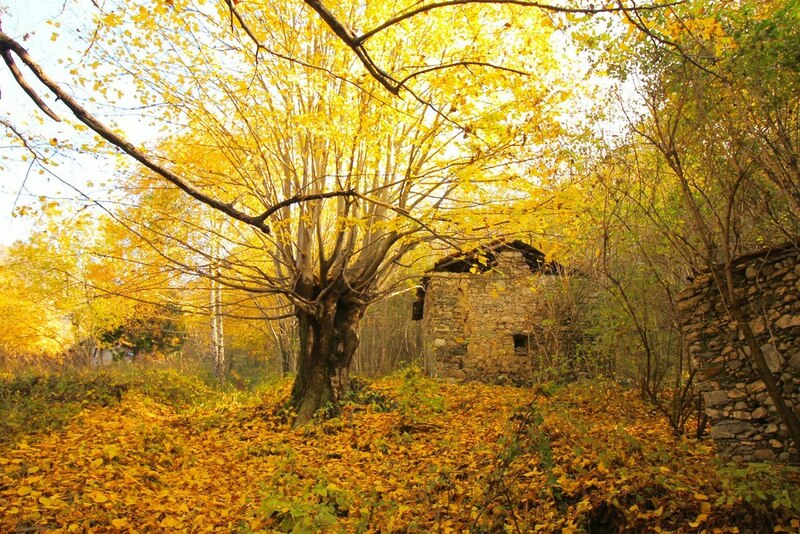 On this path you'll pass numerous churches, a beautiful graveyard, the Fiumelatte, ruins, and the Castle Lierna. Portions of the trail are somewhat challenging due to fallen leaves and uneven rocks, so I don't recommend approaching this trail as a run, though you could run portions of it if you're really wanting to stretch your legs. There is an English guide available, though it's apparent the guide has been roughly translated :). If possible, it's a good reference point to have available on the trail. That said, similar the the Greenway, the Sentiero del Viandante is also a well marked trail, though in this case only with orange sign posts, so you'll need to be slightly more attentive at all of the potential turns. After your hours of hiking (3-4 depending on your fitness and desire for photos), the TreNord runs from Varenna to Lierna throughout the day, so you can return to one city or the other in just under 10 minutes. Make sure to check the train timetable before leaving for your hike since the stops can be somewhat few and far between (often with a 2 hour break in the middle of the day). For a quick, steep run or walk, visit the Vezio Castle in Varenna. You can access the castle from a number of small (marked) alleyways from the main road in town. The path leading up to the castle is steep in parts, but runnable for the fit. Whether running or walking, as you head to the castle, you feel as if you're in a narrow secret garden. The path is lined with tall stone walls that are covered in vines. After about 1km, you'll reach a gate to enter the castle grounds. In the winter months (Nov.-Mar.) the grounds open at 10AM, but in the summer you can access it starting as early as 7AM. To see the castle gardens, and the best views out onto the lake, there's a €4 fee. You can see glimpses of the water as well as the castle from the backside without paying the fee, so it's up to you if you'd like the full experience. Heading up to the castle and back to Varenna's water's edge is about 1.5 miles round trip. If you'd like to go for a slightly longer walk or run, you can keep the lake on your right (heading south) and head towards the church of Saint Giorgioand the start of the Sentiero del Viandante path. If you put the water on your left (heading north), you can run to the outskirts of Varenna through some beautiful tunnels built into the mountain wall. Looking to just get out and explore from the town you're staying in? Whether it's Menaggio, Bellagio, Varenna, Cadenabbia (Griante), Lierna, or somewhere else, all of these seaside villages are loaded with beautiful architecture and gardens that will have you feeling totally transplanted from the neighboring metropolis of Milan. If you know the general geography of the city you're in and keep an eye on the lake, just head out and explore and you'll be sure to find an enjoyable path of your own.